$444* BOOK TOUR *Starting from..
$324* BOOK TOUR *Starting from..
$244* BOOK TOUR *Starting from..
$129* BOOK TOUR *Starting from..
$35* BOOK TOUR *Starting from..
We are excited to announce the release of our tour comparison tool. Get a side-by-side comparison of all Grand Canyon tours provided by Vegas Canyon Tours. With sort-able columns, get all the analysis you need in one place and start your Grand Canyon adventure! 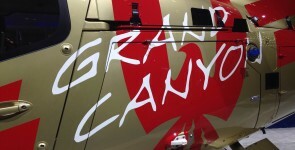 Vegas Canyon Tours is your one-stop-shop for all your Grand Canyon and Las Vegas touring needs. We do the research for you by monitoring several tourism websites daily to bring the best Las Vegas and Grand Canyon helicopter, airplane, and bus tour options available. Why pay website processing fees or hotel concierge agent commissions? We save you time and money by taking you directly to the source so you can reap the benefits of all savings and discounts. We are pleased to make it as easy as possible for you, the sightseeing enthusiast. Be sure to read our staff tips and get an advantage and ensure the best tour experience possible. Click on any option below for more information on Grand Canyon Helicopter, Airplane and Bus tours from Las Vegas.